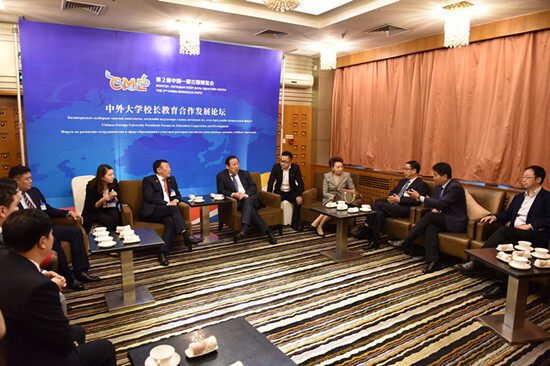 The Chinese-Foreign University Presidents Forum on Education Cooperation and Development, with a theme of "Silk Road and Higher Education -- Connecting Hearts and Minds and Cultivating Talents", was held in Hohhot, Inner Mongolia autonomous region on Sept 27. 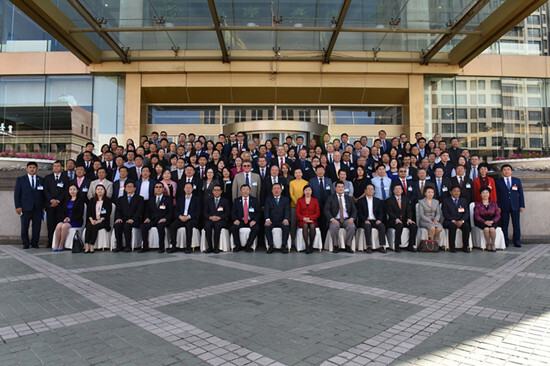 Nearly 200 representatives from 73 universities took part in the forum. They came from 17 countries and regions, including China, Mongolia, Russia, Kazakhstan and others involved in the Belt and Road, as well as the United States, Britain and Canada. Forty-one of the universities present initiated an association of universities along the Silk Road. IMNU's President Yun Guohong said that although the association was proposed mainly by Chinese, Mongolian and Russian universities, it is open to all the universities from countries taking part in the Silk Road. The association will establish an educational cooperation platform to promote extensive scientific research cooperation. Bai Xiangqun, vice-chairman of Inner Mongolia, said that great achievements have been reached in education cooperation among Inner Mongolia, Mongolia and Russia. There is a yearly increase in the number of international students studying in Inner Mongolia. As of the end of 2016, there were 3,666 international students in Inner Mongolia, including 2,703 from Mongolia and 274 from Russia. 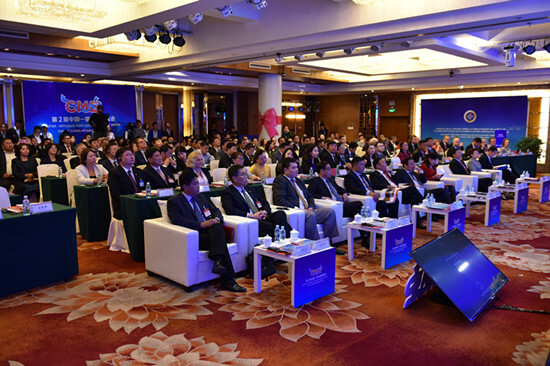 "Inner Mongolia has become an important academic region for Mongolian and Russian students," Bai said at the forum, adding that education cooperation of countries along the Belt and Road continues to advance.